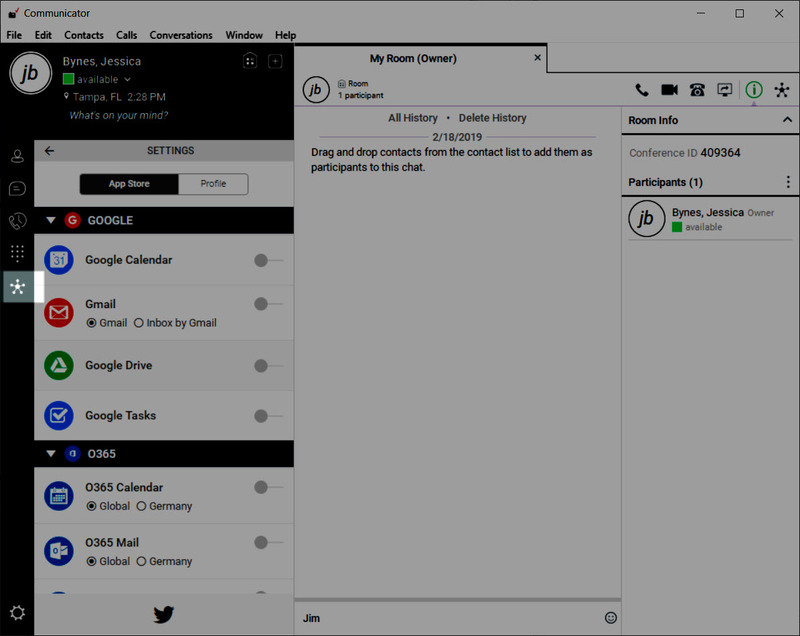 Hub is an add-on which provides contextual data and MicroApp integration for the BDV Desktop App. With the addition of BDV UC Hub, Communicator Users can add Micro App integration with Contextual information sharing. 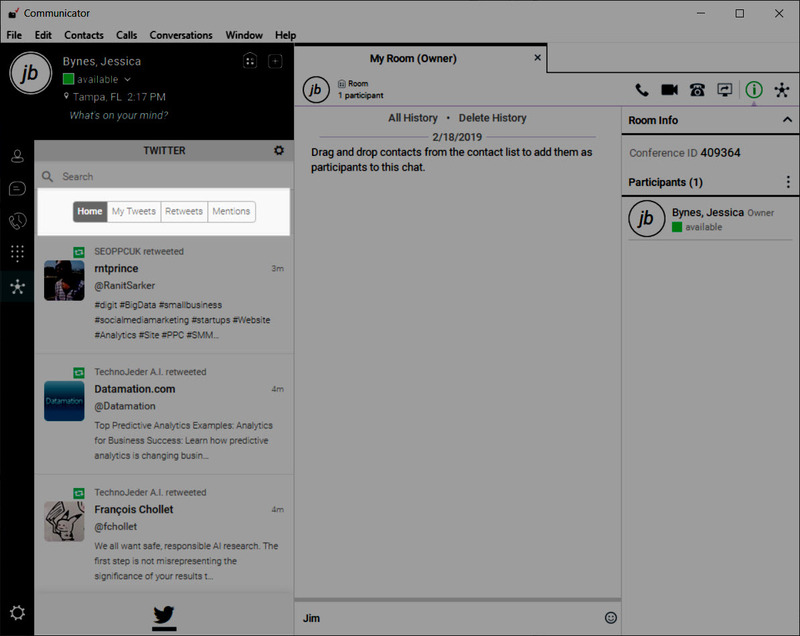 This allows Users to not only access all of their required information from a single User interface, but also, to view shared content specific to the person they are communicating with. 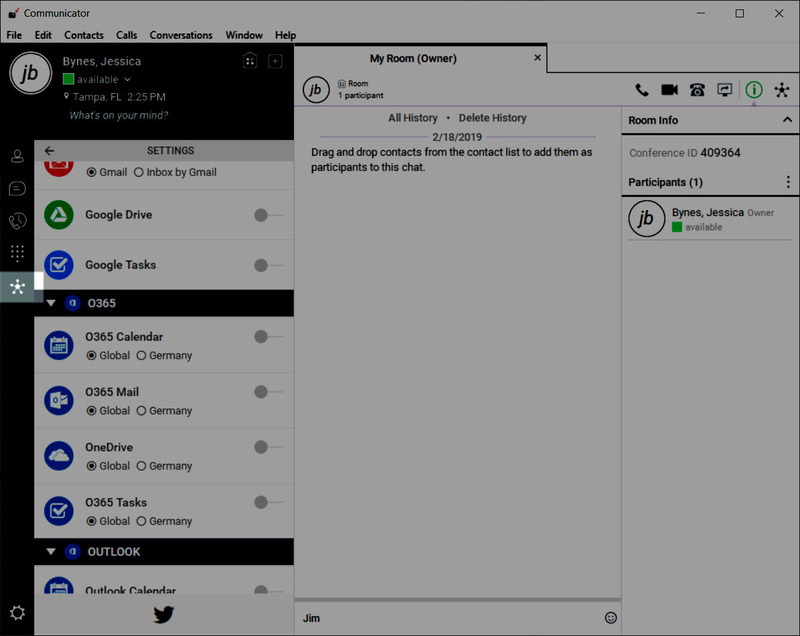 There are 3 main components in your Desktop interface to get familiar with: Micro Apps, Notification Bar, Contextual Data. 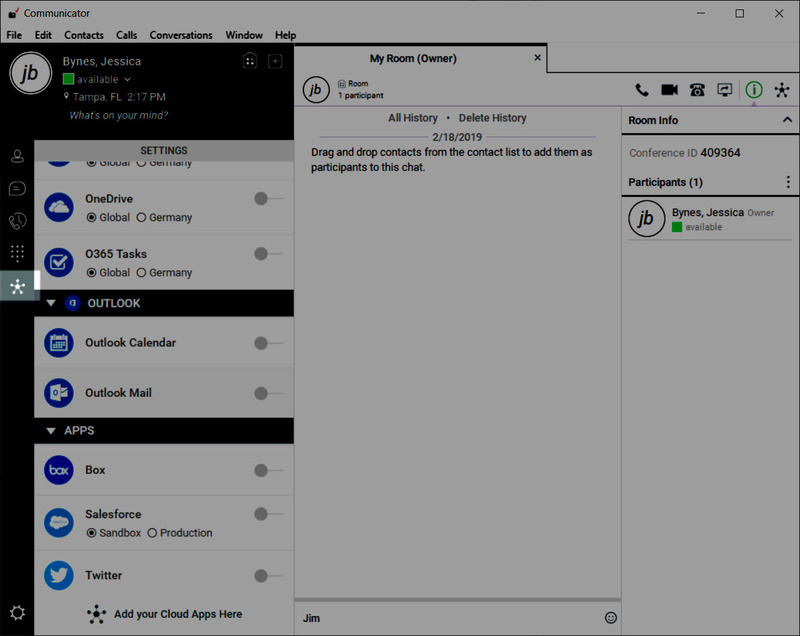 Micro Apps provide the ability to preview the cloud application content, for example, Gmail integration and allow you to view and search your most recent e-mails. 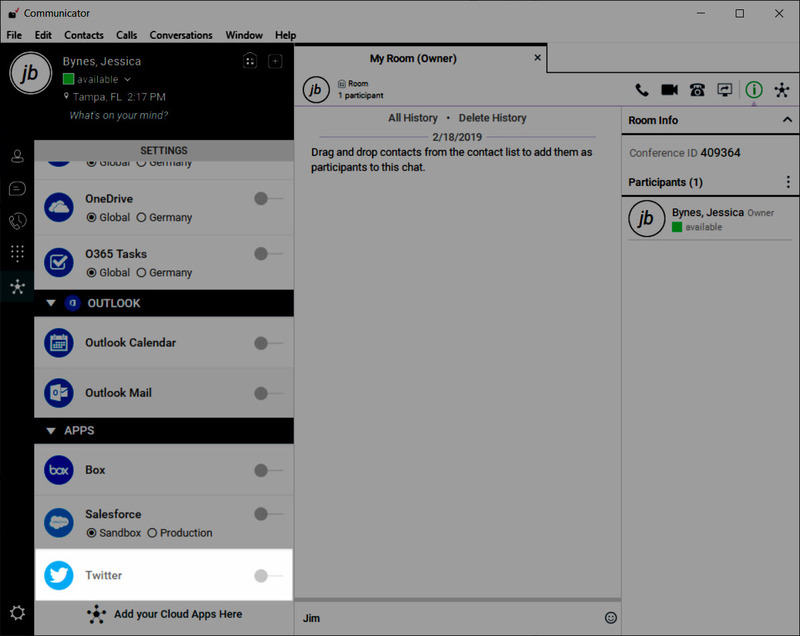 Quick actions within the app integration view provides the ability to execute the most common tasks associated with the app with one-touch actions. 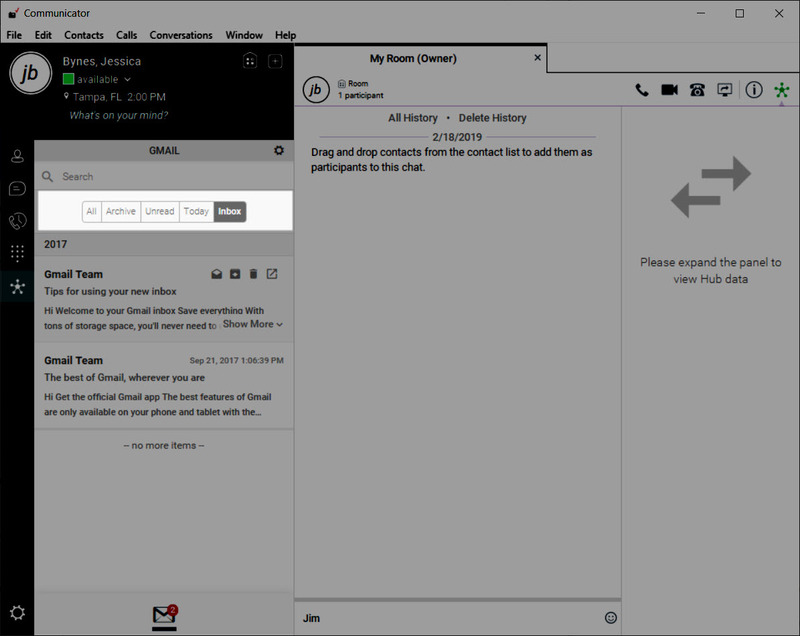 For example, with Gmail you can one-click to change the status of an e-mail to read or unread, flag an e-mail as important, delete an e-mail, or open the e-mail in the Gmail web interface. 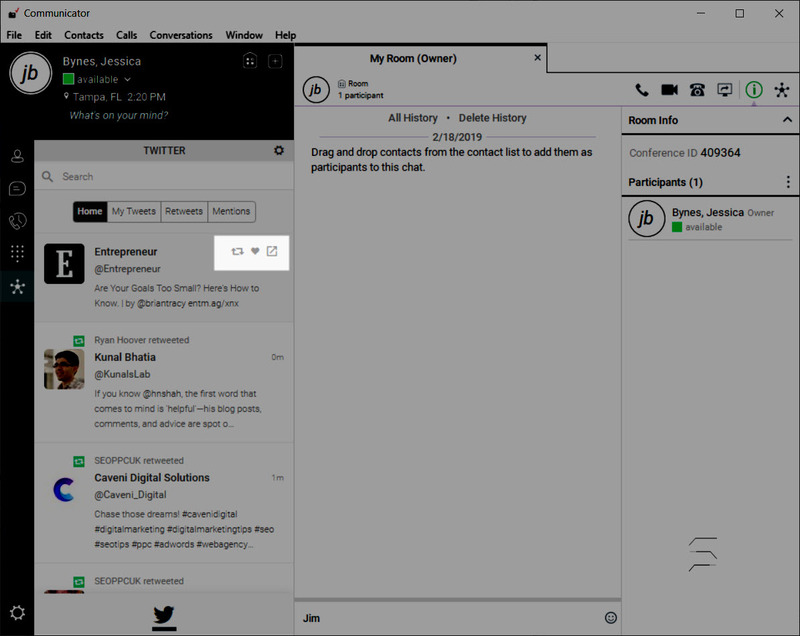 The notification bar provides the end user a constant interface of new updates to Hub MicroApps. The notification bar also provides a shortcut interface to open each of the MicroApps. Note that not all applications have notifications. If you have more than five applications in your navigation bar you can now scroll between with them using the left and right navigation arrows or your mouse wheel. Here, your data is filtered to reflect the relevant content that is associated with the person you are communicating with. 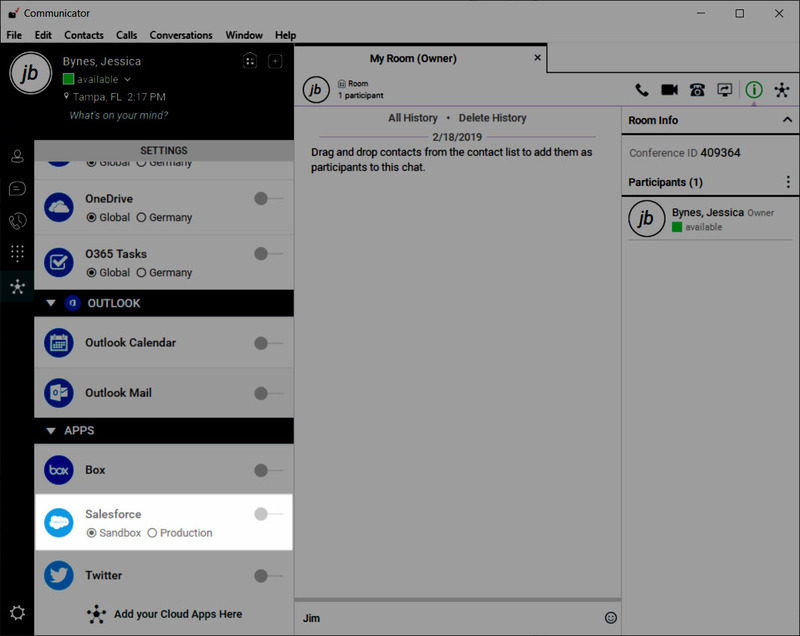 For example, if you are on a call with a customer, the contextual pane shows all the recent e-mails that you have sent to the customer, e- mails the customer has sent to you, or e-mails that you have both been included on., flag an e-mail as important, delete an e-mail, or open the e-mail in the Gmail web interface. Click on the Hub Settings. Click the toggle button next to the Twitter Icon to active. 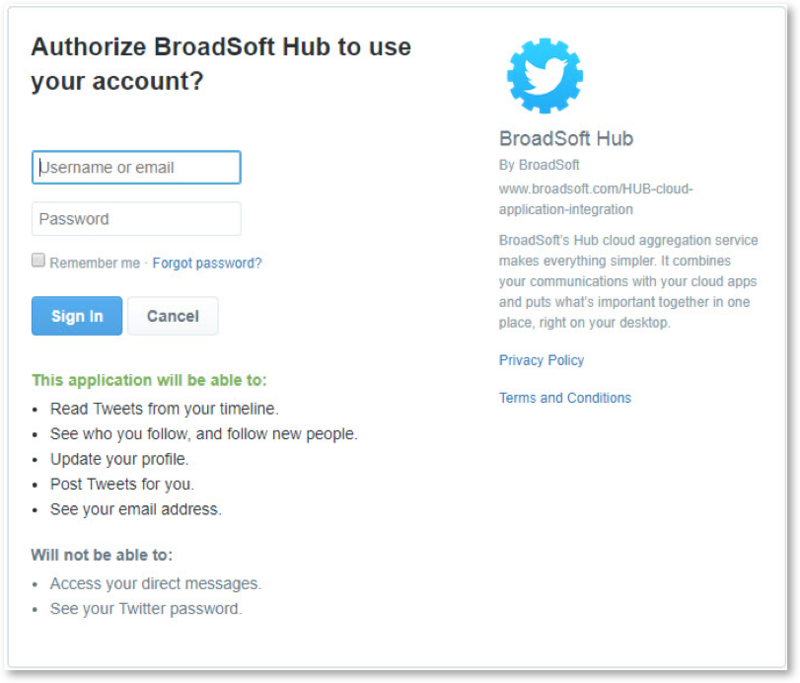 A new browser window/tab will open, prompting you to authorize UC Hub to use your Twitter account. Enter your Username and Password and then click Sign In. You will be redirected to UC HUB confirmation page. Once enabled, the Twitter MicroApp will be visible in your Notification Bar. Clicking on the Twitter Icon displays the apps content, and filter options. With Twitter, you have the option to filter your Twitter feed by: Home (Default Twitter Feed), My Tweets, Retweets or Mentions. Each tweet in your Twitter MicroApp feeds will have its own Quick Actions allowing you to execute the most common tasks. Hover and choose between: Retweet, Like or Open in Twitter. 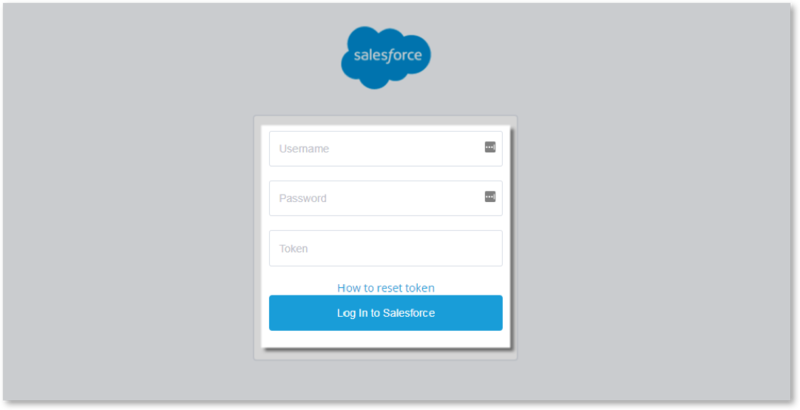 Enter your Username, Password and Salesforce Security Token and then click Log in to Salesforce. You will be redirected to the UC HUB confirmation page. 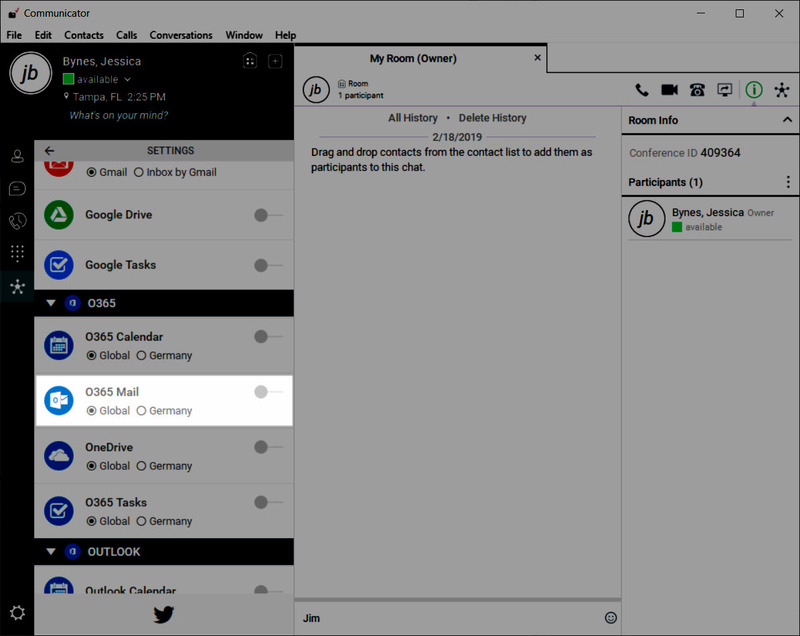 To enable O365 Mail click on the toggle button to the right of the Icon. 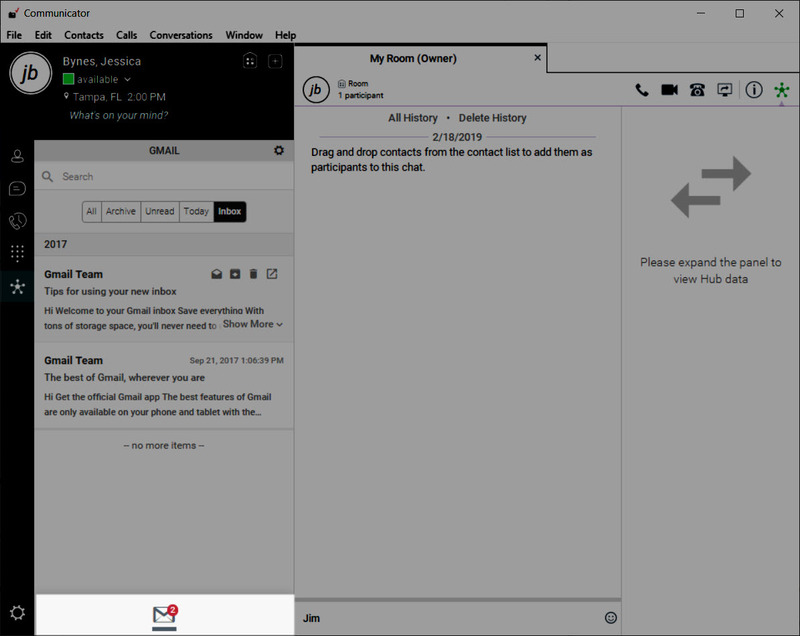 A new browser window/tab will open, prompting you to authorize UC Hub to use your O365 Mail account. 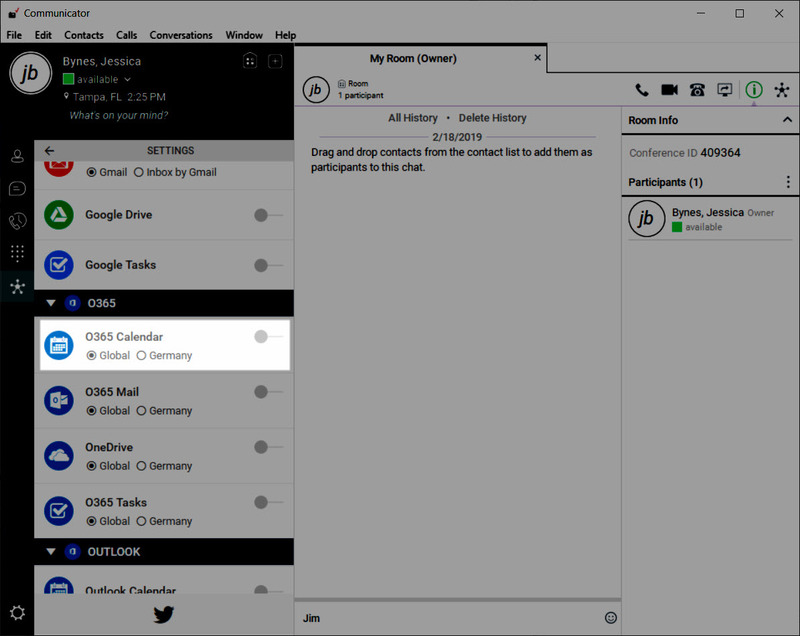 To enable O365 Calendar click on the toggle button to the right of the Icon. 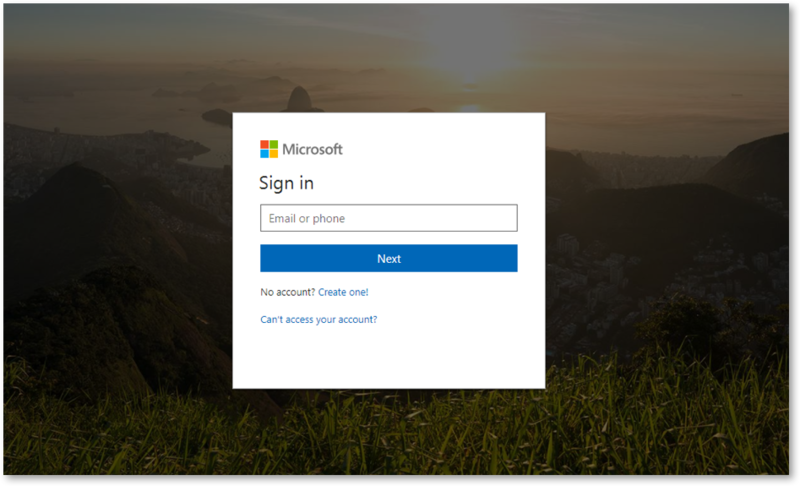 A new browser window/tab will open, prompting you to authorize UC Hub to use your O365 account. In order to enable Google Gmail/Calendar/Drive/Tasks click on the toggle button to the right of the micro app you wish to activate. 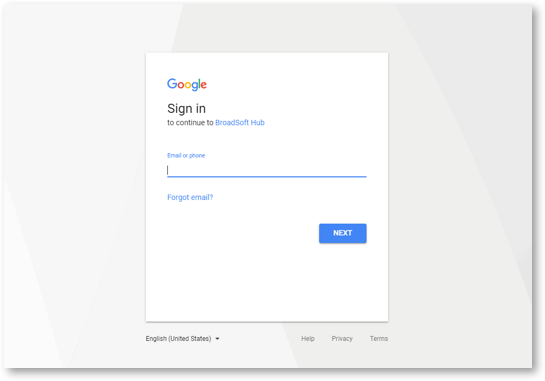 You will be prompted to authorize this action by login into the Gmail account you want associated to your HUB in a new browser. Note 1: In order to activate any of the other Goggle Micro Apps, follow the same procedure. Note 2: If you are Switching within the same app (i.e. Gmail and Inbox by Gmail) you will need to first disable the app by deselecting the toggle button, then select the radial button for your new selection and click the toggle switch back. For Gmail and Inbox, you might see the exact same content. Please remember to login to Google Inbox, select Settings/Other and check the “Redirect Gmail to inbox.google.com” option. Once enabled, the Gmail MicroApp will be visible in your Notification Bar. Clicking on the Gmail Icon displays the apps content, and filter options. With Gmail, you have the option to filter your Twitter feed by: All, Archive, Unread, Today or Inbox. 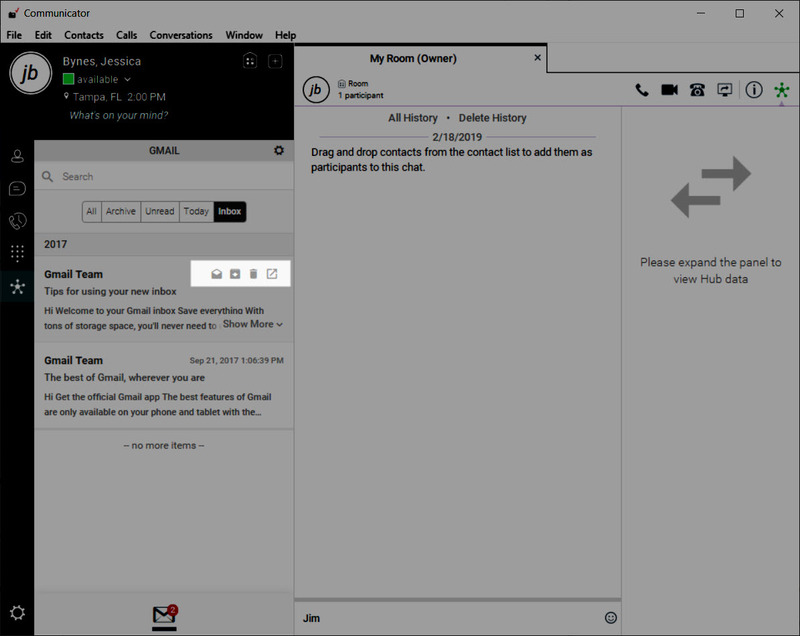 Each message in your Gmail MicroApp feed will have its own Quick Actions allowing you to execute the most common tasks. Hover and choose between: Mark as Read, Archive, Delete or Open in Google Mail.